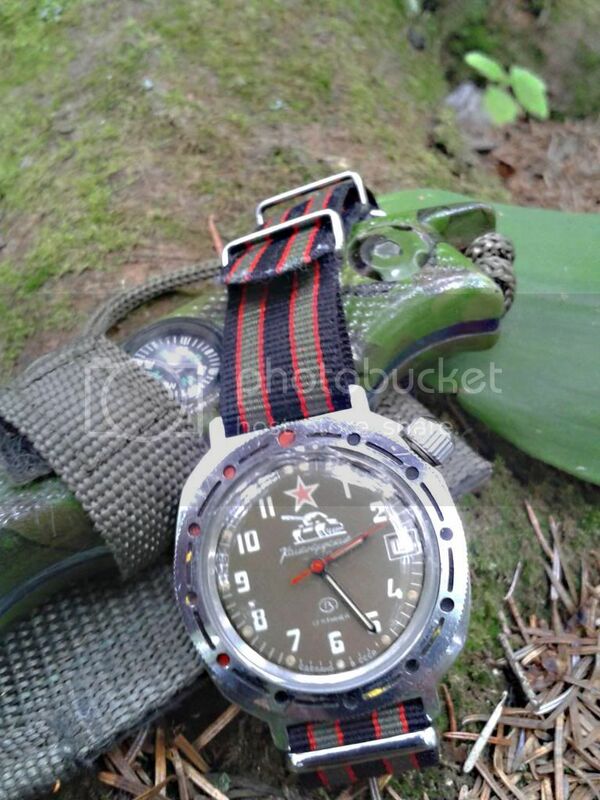 Could anybody please tell me the age of this watch? What is the symbol just above the anchor? 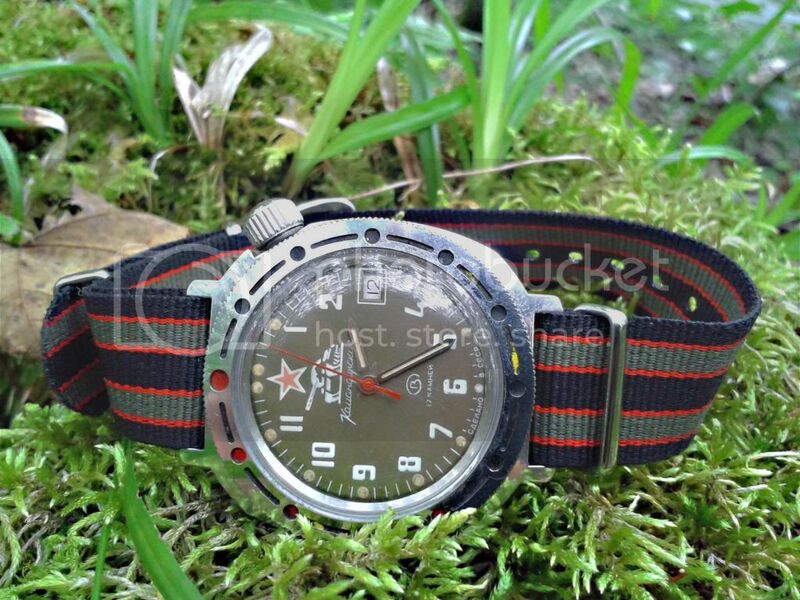 Ostwok, a Swiss brand of export watches, which went bankrupt in the mid 90's. Search Ostwok in google or in this here forum. But yours does look a lot less ´used´ then mine. What´s with the little differences between your dial and mine? Mine says 17 kamher, and the logo just under the middle of the watch is different than yours? someone more knowledgeable could explain. Isn't that the same Ostwok symbol as on this one? Last edited by OCDood; July 24th, 2013 at 23:12. 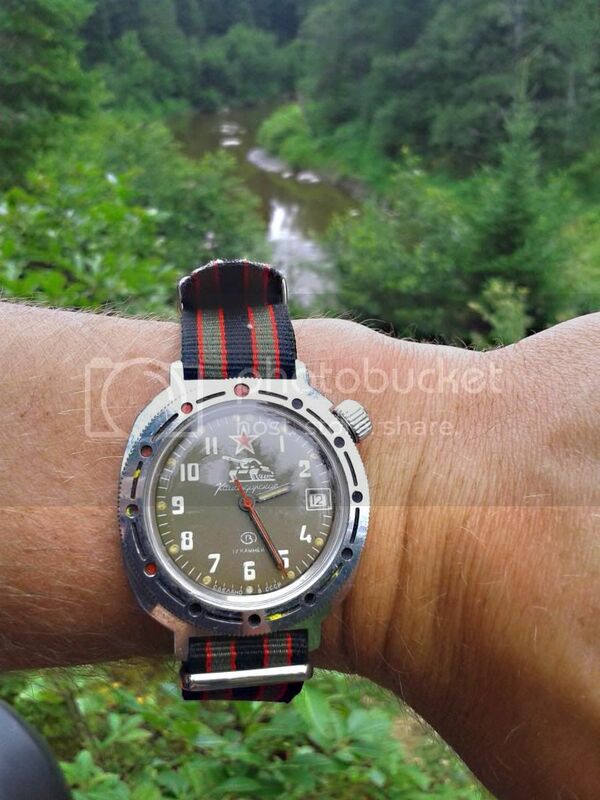 Another one of my tankists.Strap is di modell anfibio polo-costs more than the watch! Last edited by Mecano; July 25th, 2013 at 14:57. My second Komandirskie arrived today from Amil after a much shorter 18 days. What better way to complement a paratrooper than paracord? There is a soft gradient from the olive green to a tan color between 4 and 8 on the dial, and one strip of red missing on the bezel between 10 and 11.